Following on from last year’s split-LP (with The Rosy Crucifixion) on Soft Power, the international (French/Irish/English), London-based female trio present their full-length debut, which harkens back to the DIY minimalist approach of The Raincoats and The Slits, although thankfully a tad more melodic. Upper-register vocals soar over Irish guitarist Dearbhla Minogue’s (The Drink, Partisans) serpentining lines, and the rock-solid rhythm section (ex-KASMs bassist Gemma Fleet and French drummer Marion Andrau) keeps things moving forward with a delightfully funky, soothing Warpaint vibe. The harmonies occasionally venture into operatically emotional acrobatics (‘The Grip’ and ‘First Day Back’ are particularly theatrical) with skewed Bananarama and Mo-dettes inspirations not far behind (eg, ‘Turtleneck’). ‘Faultine’ is angrier and more abrasive, venturing into industrial cacophony, but ‘By Hook or By Crook’ returns us to softer, poppier pastures with a most pleasant hopping, skipping, and jumping singalong. The dreamy, French ‘Ode à Jimmy’ is 21st century psychedelic ye-ye (featuring vocals from Andrau, ex-guitarist in French post-punkers Underground Railroad), ‘Renew’ is glistening, girl-group sumptuousness, and ‘Stir’ will certainly turn any frowns upside down with its giddy, albeit fractured melody. 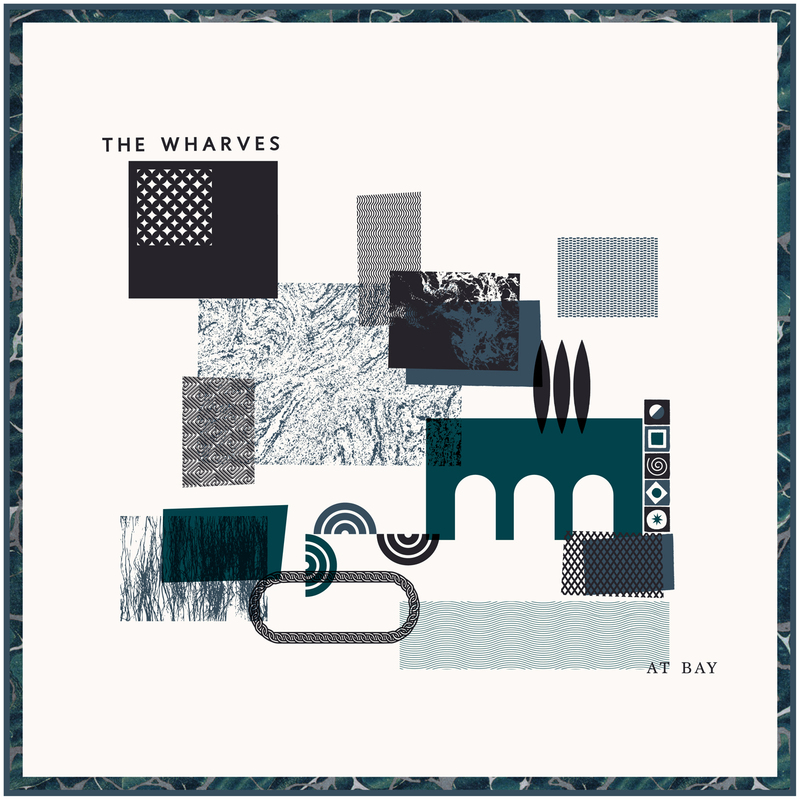 I must confess a weakness for female bands, so there’s a few points right off the bat, but The Wharves will ingratiate themselves to fans of syncopated pop. Things tend to fizzle out towards the end of side two and songs veer into generic, but not completely unpleasant, ear candy. Still, for most of the album I was smiling and tapping my toe to their infectious brand of asynchronous guitar-pop.